An A. Quincy Jones Bargain? Main entrance to 12449 Deerbrook Lane. 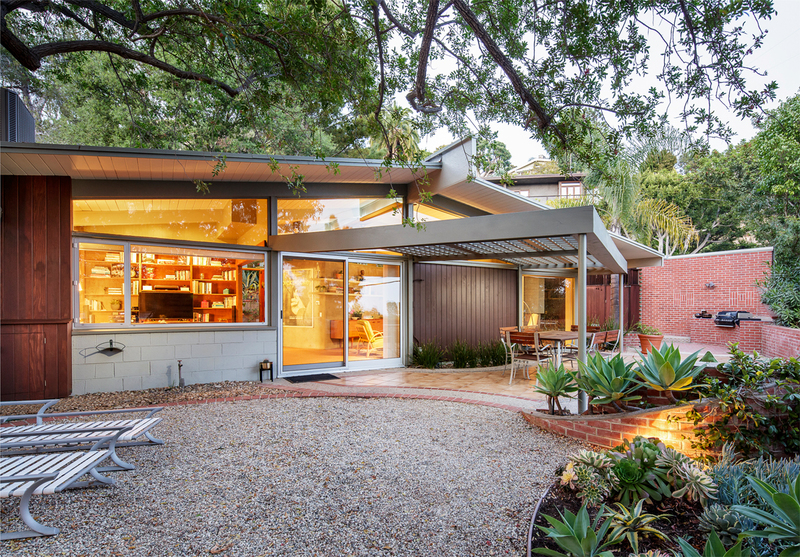 An admittedly overpriced mid-century modern classic became available recently, equipped with an unusual marketing push designed to capitalize on the cachet of a prominent Eichler architect. "Right now we're just testing it at a very high price—a comparatively high price," quickly added Brian Linder, who along with William Baker is representing 12449 Deerbrook Lane for deasy penner real estate. "This property is going to be priced higher than others in the neighborhood." The 1950 residence was designed by Eichler architect A. Quincy Jones in the historic L.A. community of Crestwood Hills, and its initial asking price is $2,765,000. It has three beds and two baths on 2,079 square feet, sitting on a one-third-acre lot in a neighborhood whose utopian aspirations are an attraction to this day. Jones (1913-1979) worked on several 'total community' projects, including the Greenmeadow Eichler development of Palo Alto with partner Frederick Emmons. 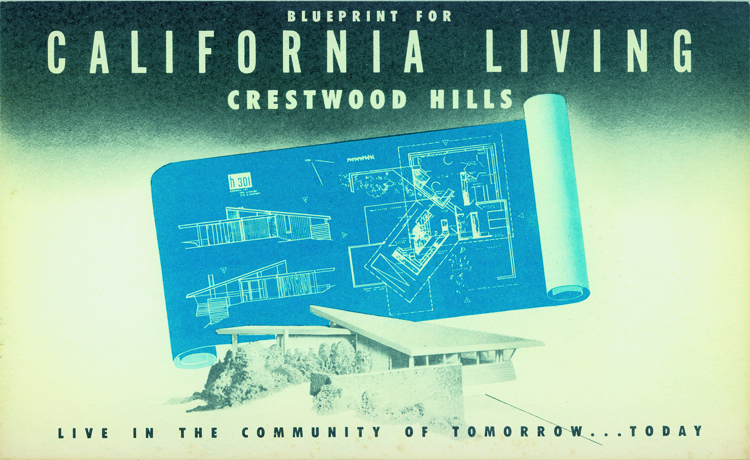 This one, at Crestwood Hills, was for a group of Hollywood musicians, teachers, and writers in the late 1940s that was organized as the Mutual Housing Association. Jones headed up a design team for the cooperative's plan of 500 homes on 800 hilly acres of then-isolated Brentwood. 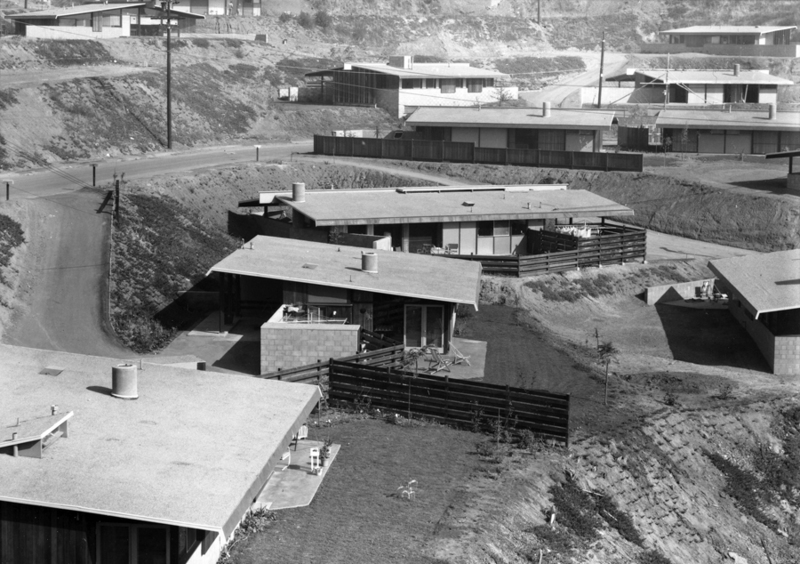 "One of the most significant postwar modern residential neighborhoods in Los Angeles," is how one L.A. city official describes the development, which was planned to include cooperative schools, stores, transportation, and more. Unanticipated costs due to terrain and design—plus resistance to financing the racially integrated community—halted construction at 160 units, and several were among 500 homes destroyed in a huge wildfire in 1961. 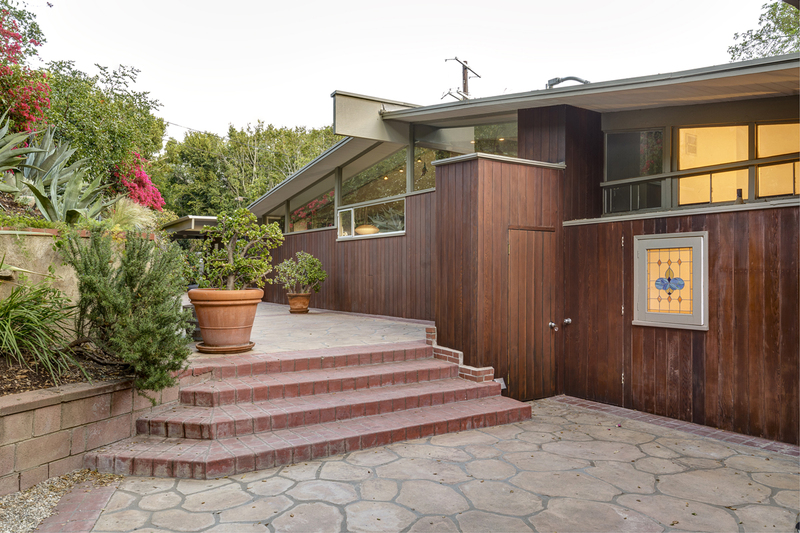 Numerous sparkling examples of MCM design remain, however, including 12449 Deerbrook and another down the street that belonged to an original member and was sold last year by Baker and Linder. That home is a Los Angeles Cultural Historic Landmark, a distinction not shared by 12449. "I think a pretty discerning person will take a look at it  and see it's been lovingly taken care of," predicts Baker, admiring the renovated flooring. "The cork looks great. It was refinished, and it looks beautiful."